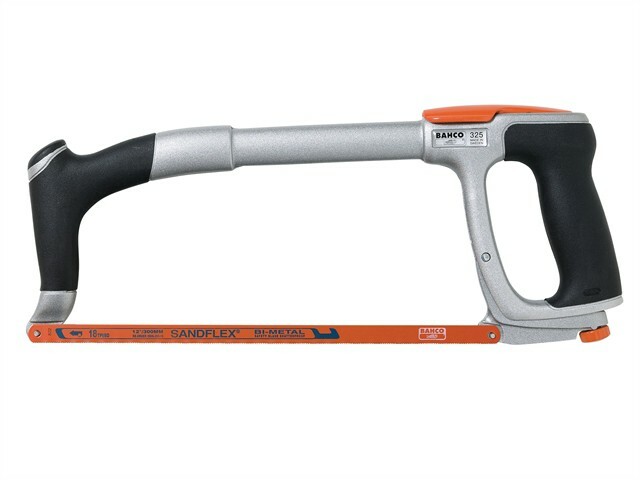 The Bahco 325 Ergo Hacksaw is a truly unique and professional hacksaw frame. It has been ergonomically designed with very high blade tension for straight, accurate and exact cuts. The centred blade allows for correct balance and spring tensioned blade loading mechanism for quick blade changes, with an alternative 55° blade mounting for flush cutting. Supplied with the reliable and shatterproof sandflex bi-metal, 24 tpi hacksaw blade with excellent cutting performance.